QDS is an authorized reseller of AdaptivCool products. 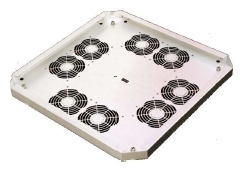 QDS utilizes AdaptivCool innovate products to help customer address the Data Centre hotspots and cooling needs. And now, through our Data Center Cooling Division, we cool Data Center rooms as well. Degree Control's customers include Alcatel-Lucent, General Electric, Emerson, Motorola, and many other leading companies.